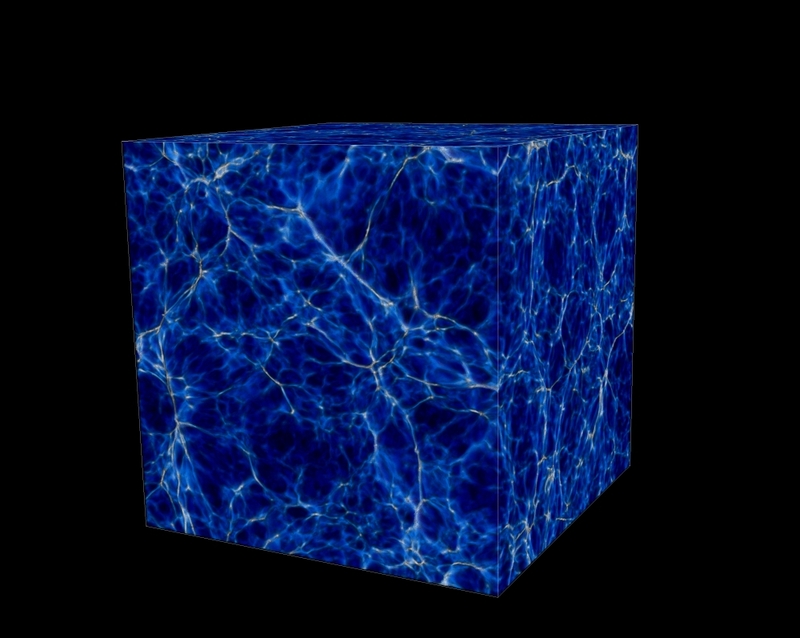 This supercomputer simulation shows part of the cosmic web 11.5 billion years ago. The cube is 24 million light-years in length, width and depth. 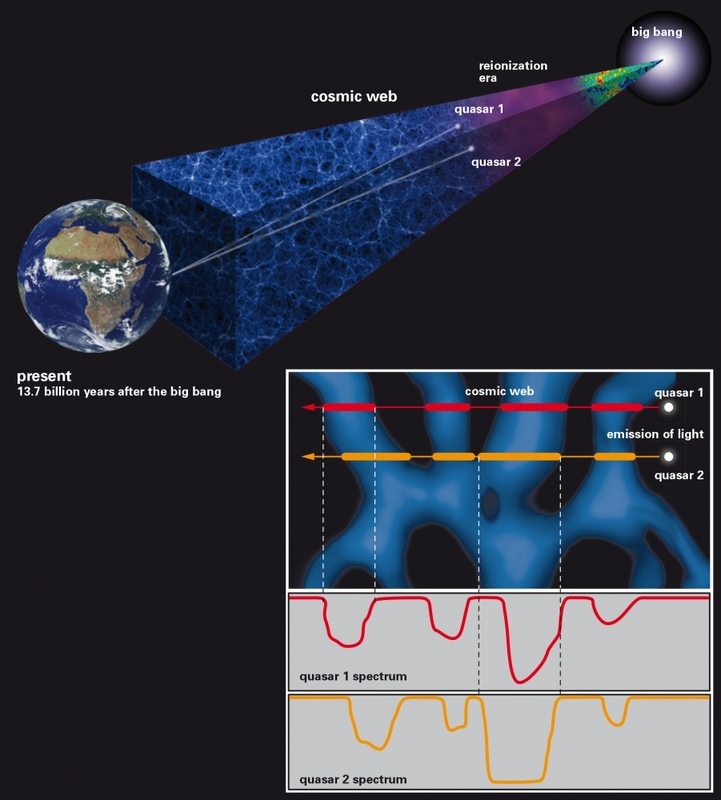 This schematic representation illustrates the technique used to probe the small-scale structure of the cosmic web using light from a rare quasar pair.